'M and J Morning Sunshine' is one of the finest additions to our gardens in the last couple years. 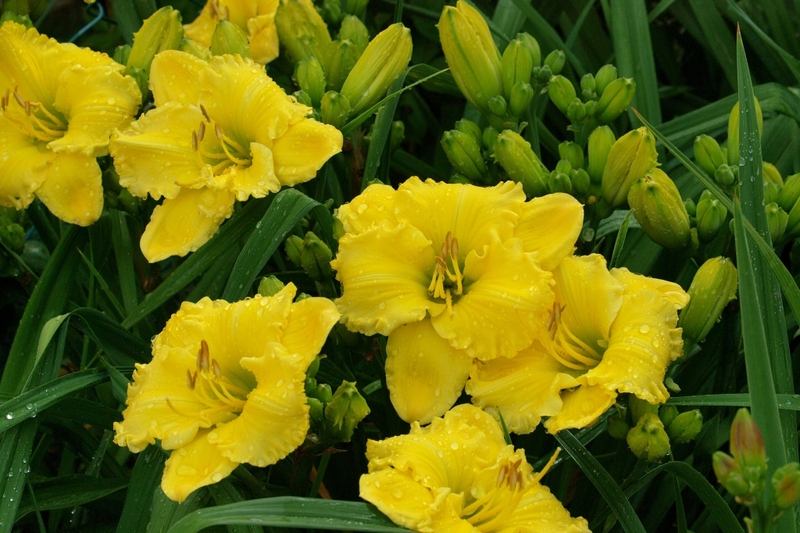 Yes, I know yellow daylilies are perhaps not the most popular, but we have seen few daylilies that rival this one for excellent robust foliage, incredible budcount, and beautiful form. 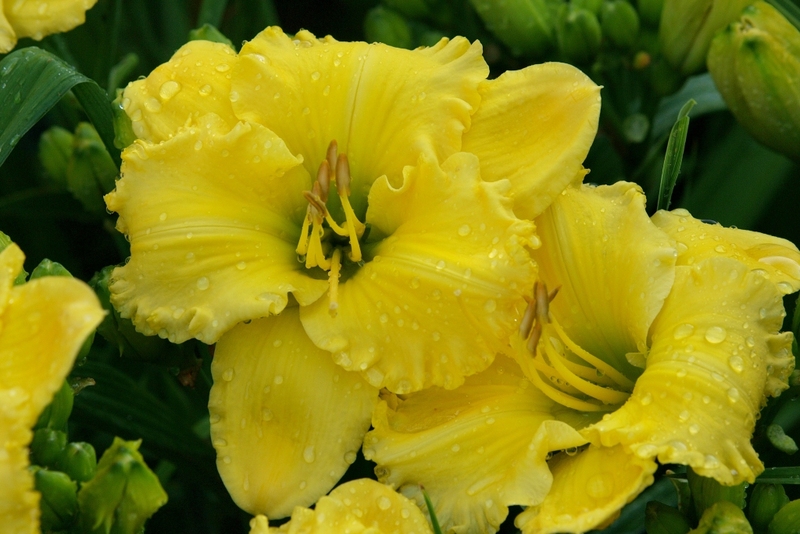 Hybridized right here in Ontario 'M and J Morning Sunshine' has a 6" bloom on a 30" scape. 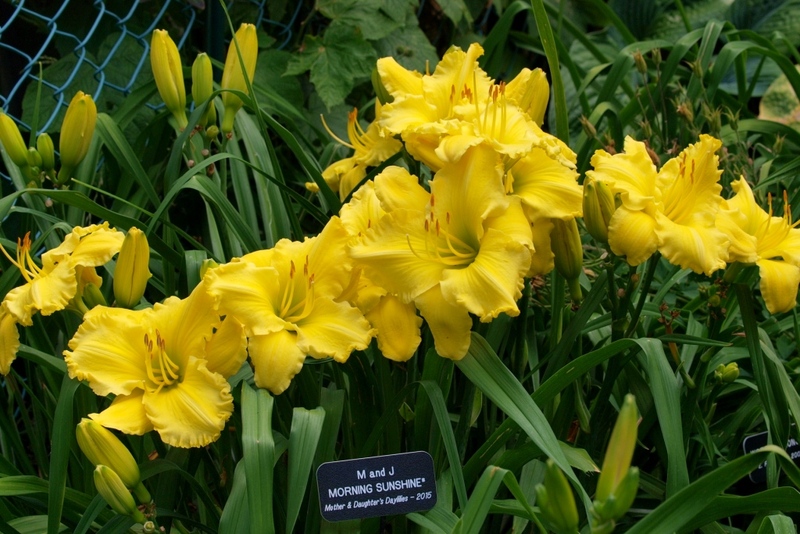 This is a nocturnal cultivar with bloom starting to open late afternoon, staying open through the night and the next day, and as daylilies go, this one is fragrant. Registered in 2015 with a budcount of 20, it consistently has a budcount higher than that in our well irrigated gardens.